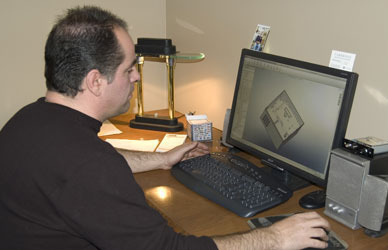 Prototek Manufacturing can open native Solidworks, Pro e, AutoCAD, Inventor, Plus many others. Our engineers are fluent with each of these software programs and we own many seats of these softwares. Prototek Manufacturing can engineer your projects from your ideas or help you in your design process. This allows us to program your parts by using a variety of software like Camworks, Gibbs cam, Mastercam and Winmax based on which program is suited best for your fabricated parts. We then send programs to our laser, punchpress or maching centers; this process aids us in the rapid production of your fabricated parts.